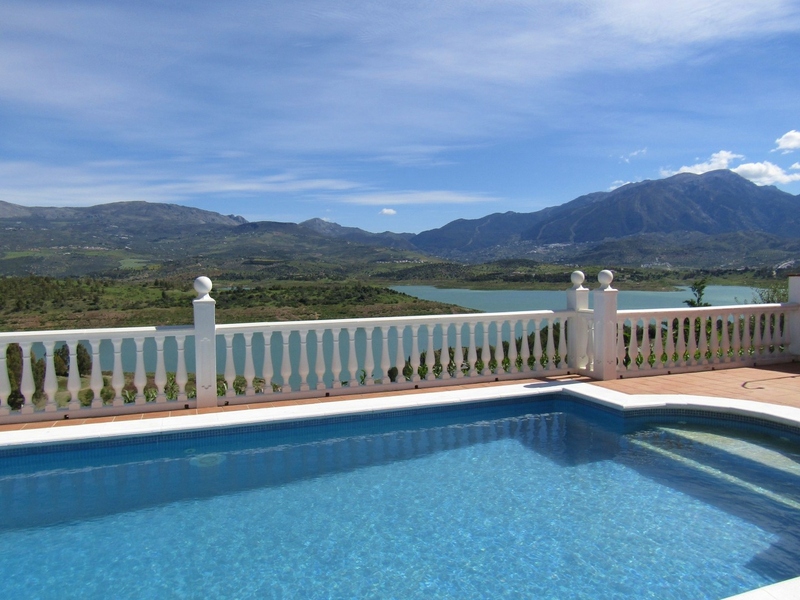 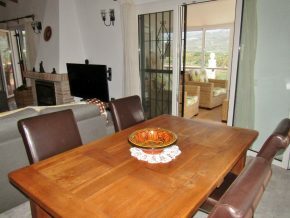 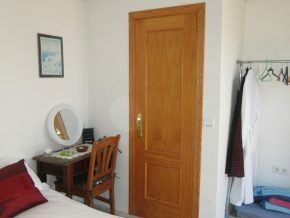 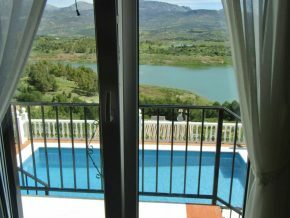 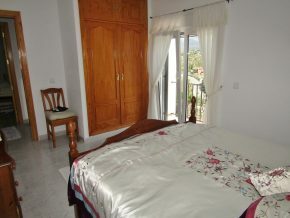 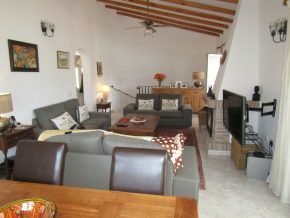 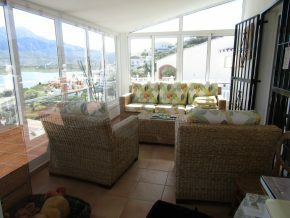 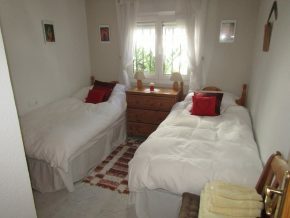 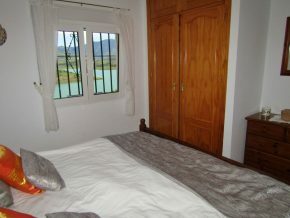 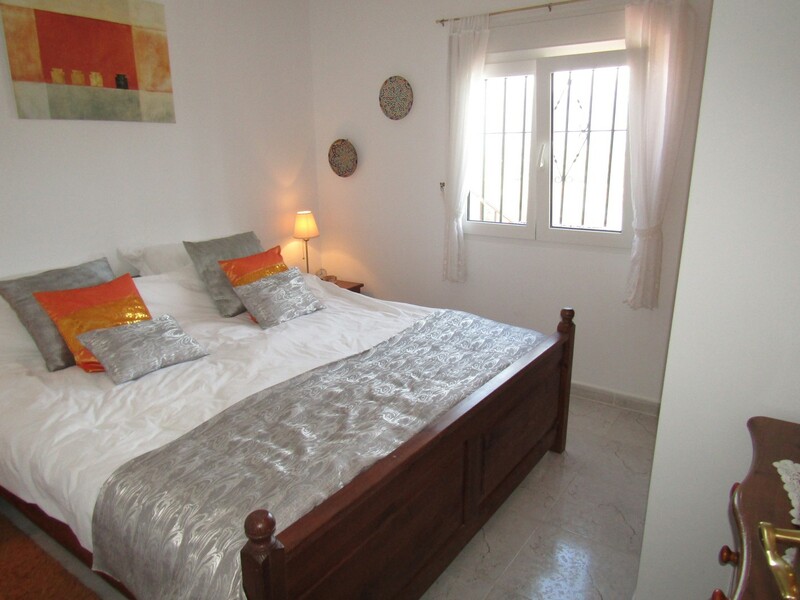 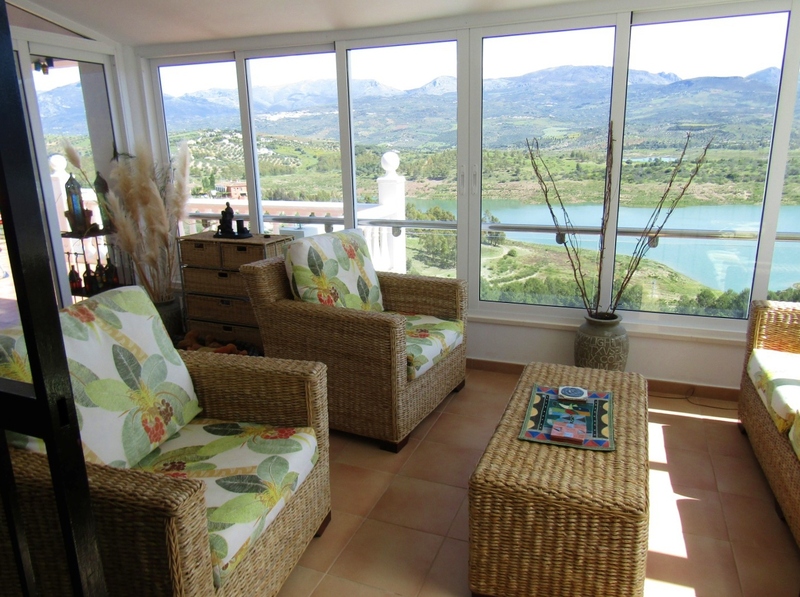 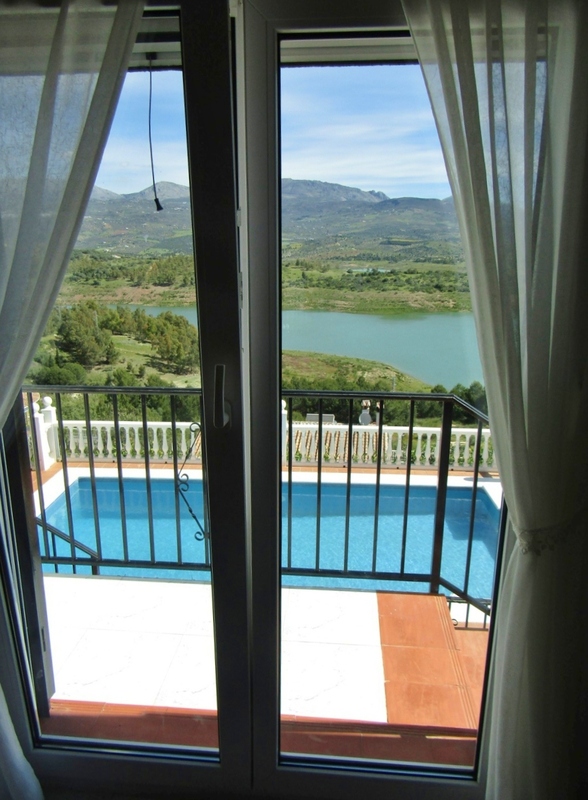 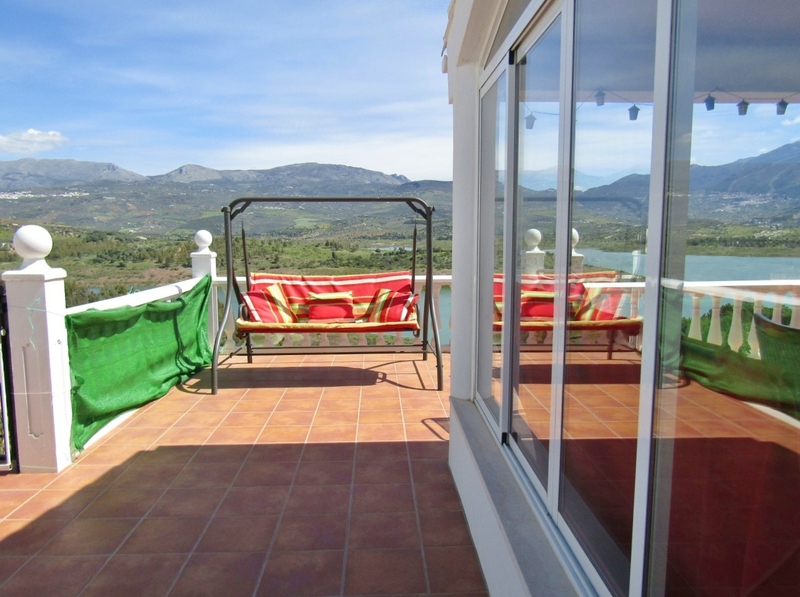 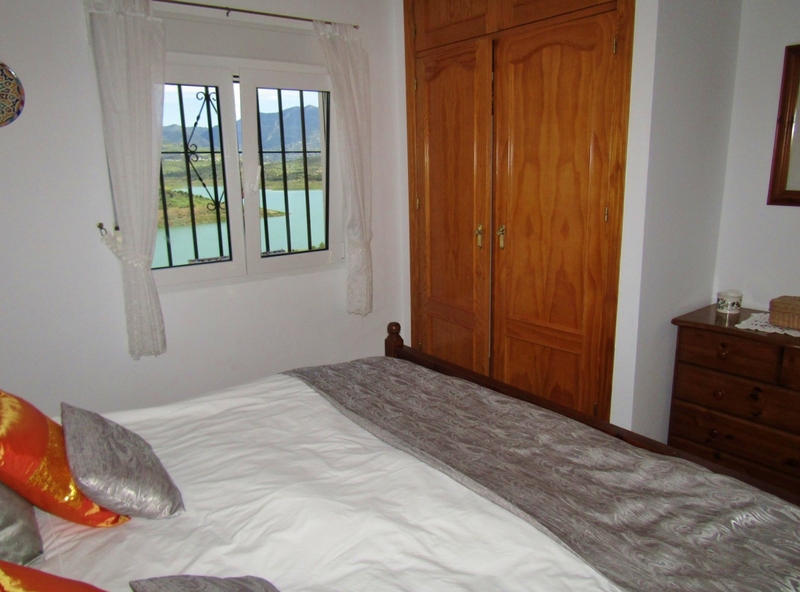 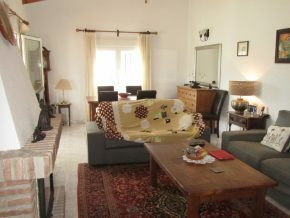 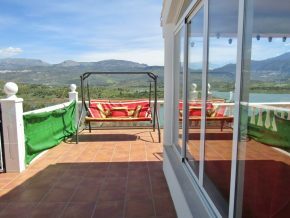 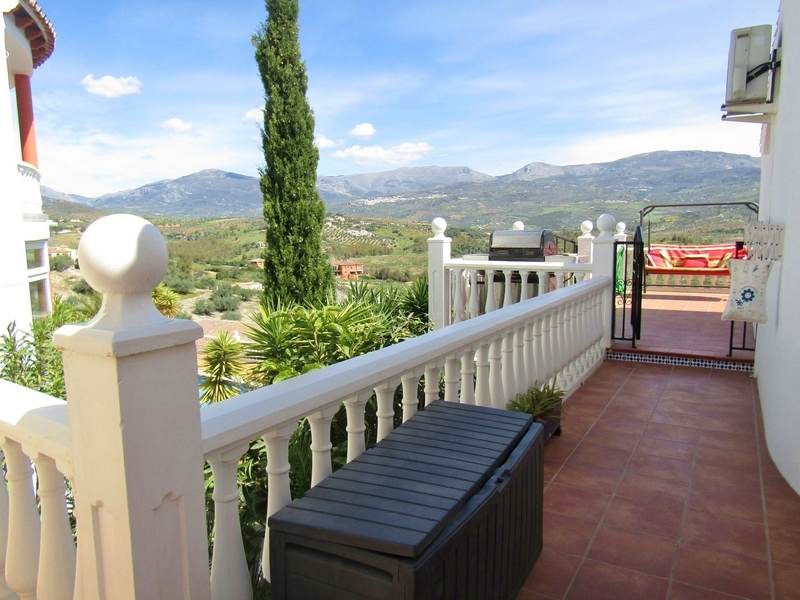 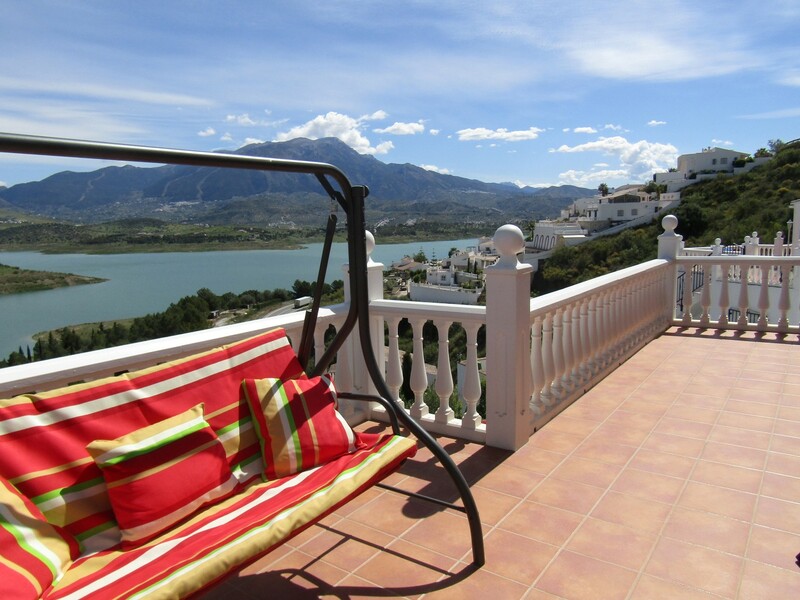 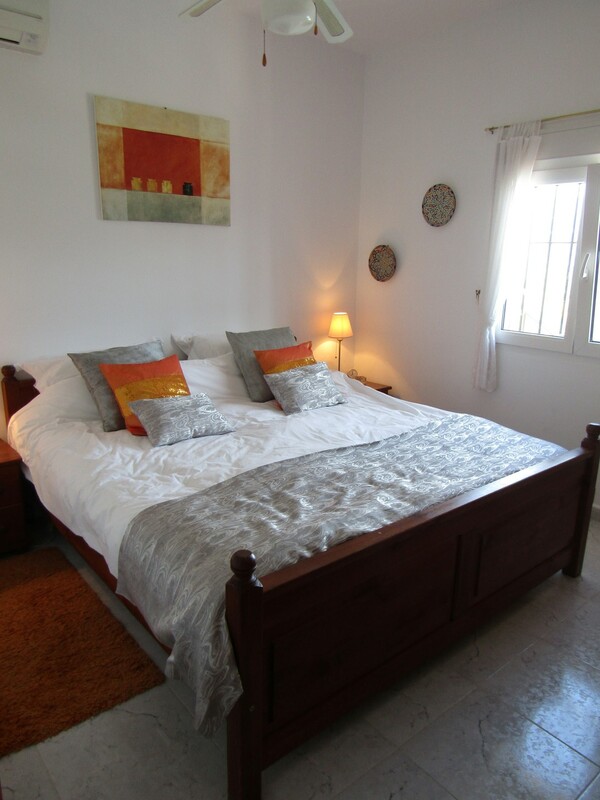 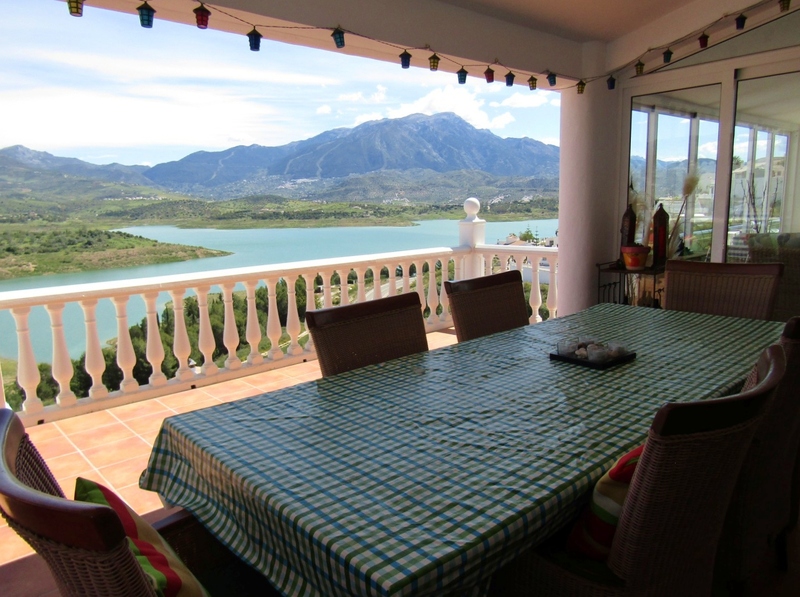 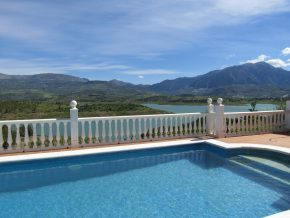 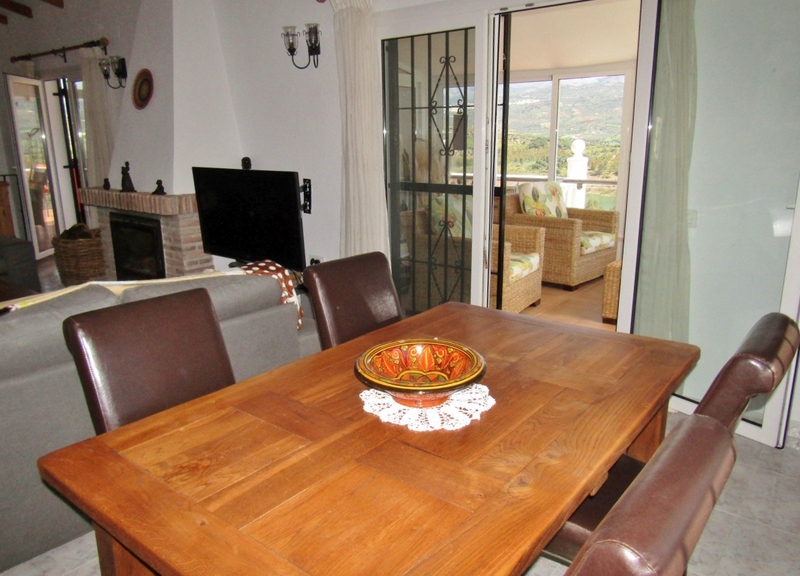 Located in the beautiful and highly sought-after area of Pueblo Ana Maria on the outskirts of the picturesque village of Los Romanes, and enjoying the best possible close-up view of the lake with its tremendous mountain backdrop, this is a home that is ideal for both permanent living or as a quality holiday home. 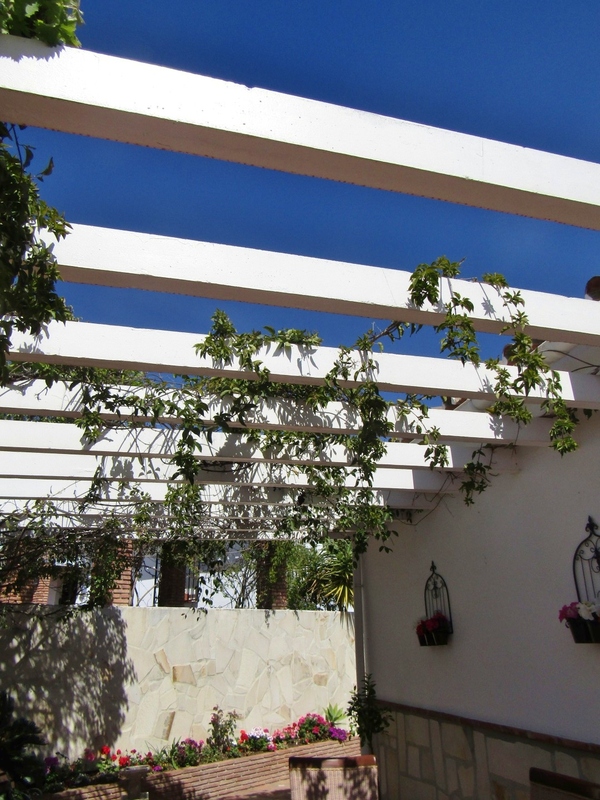 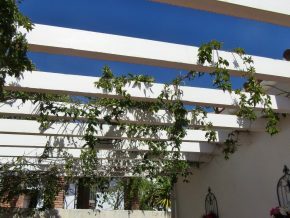 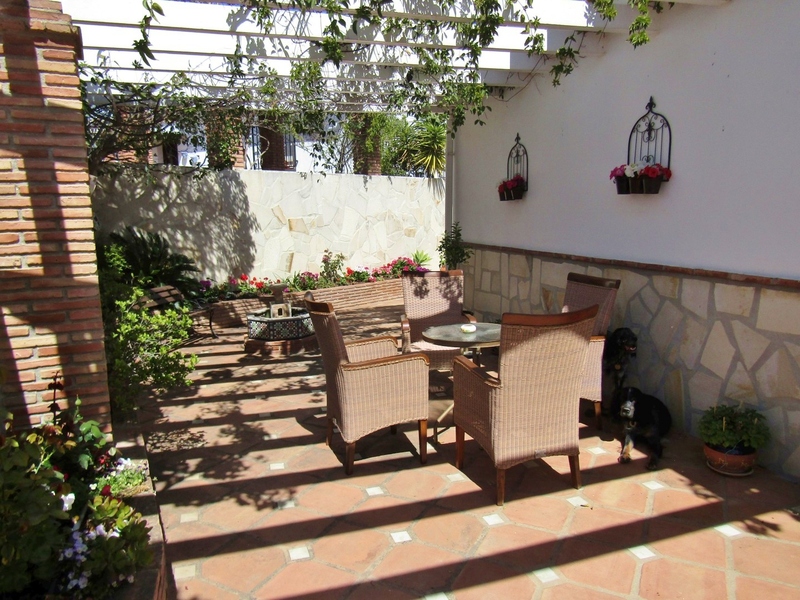 The quiet street has off-street parking and from here, a gate leads into a pergola covered terrace, currently with many flowering potted plants creating a peaceful and relaxing ambiance. 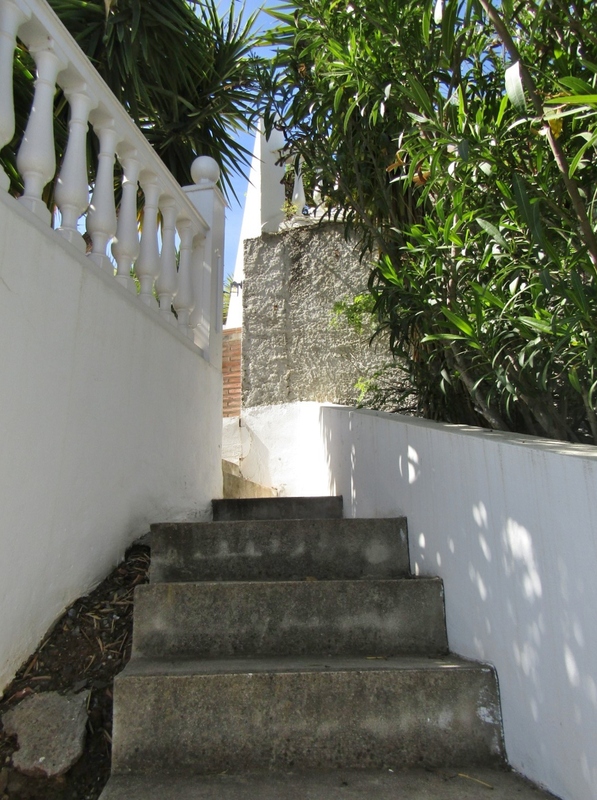 Turning the corner, with further terraces and steps to the pool to one side, the front door leads into a small entrance hall (1.8 x 1.25m). 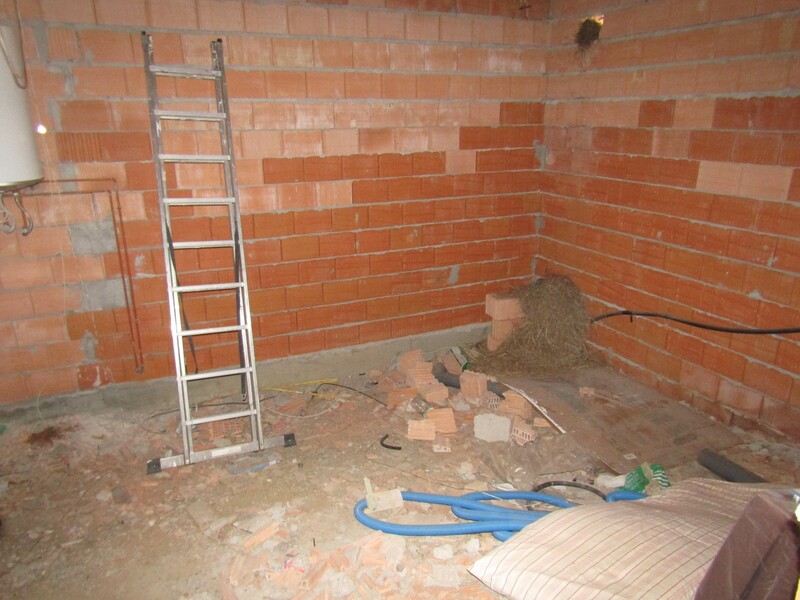 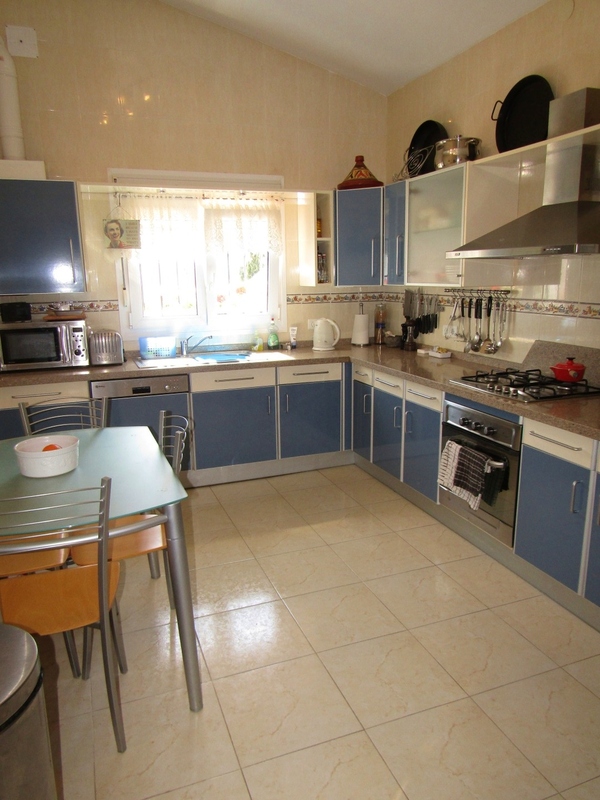 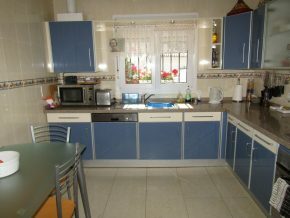 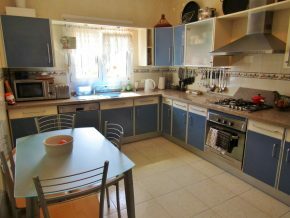 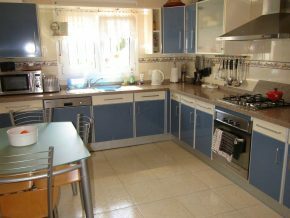 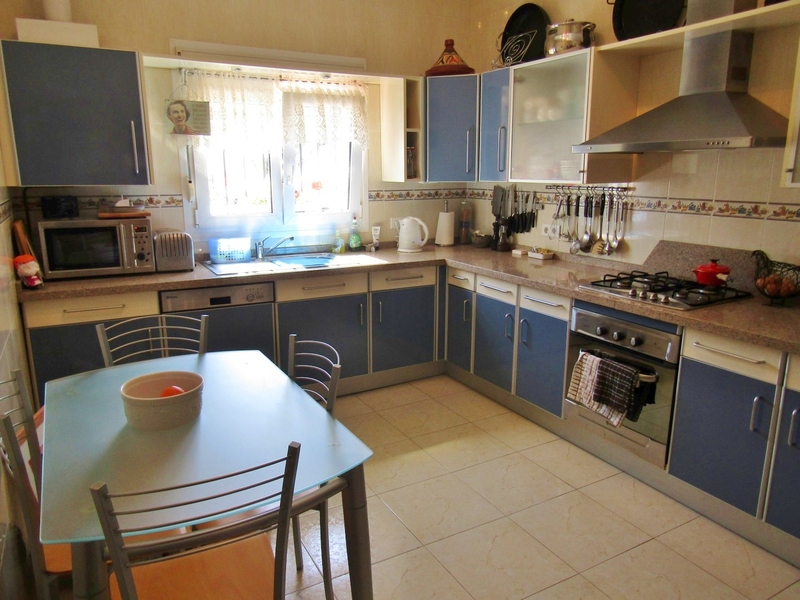 To the right is a WC/laundry room (1.5 x 1.25m) and straight ahead is a spacious fully fitted kitchen (4.5 x 3m) with space for a breakfast/dining table. 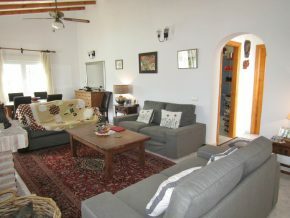 To the left a wide arch leads into the living and dining room area, a generous 8.5 x 4m, with built-in woodburner and two sets of glass patio doors. 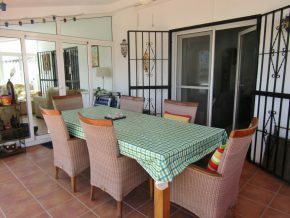 The left hand patio doors lead to a covered area, ideal for dining al fresco, but in the shade, and there is plenty more terracing amd a barbecue area, with those same beautiful views and views below of the pool on the lower level. The right hand patio doors lead into a conservatory (4.5 x 3m), an ideal room in which to relax, read, or listen to music, with sliding glass windows all around, plus doors out to the covered dining area. 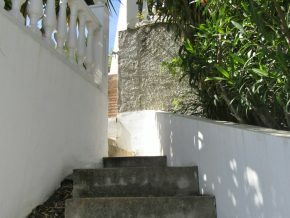 Sweeping marble steps to the left of the living/dining room lead down to the lower level of the house. 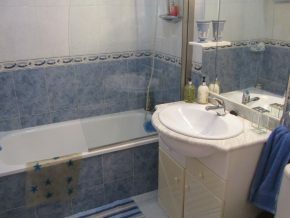 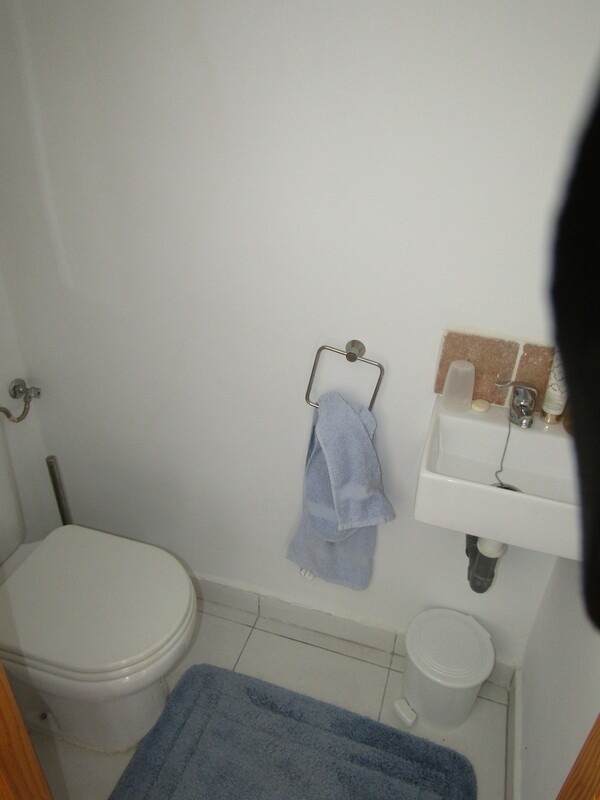 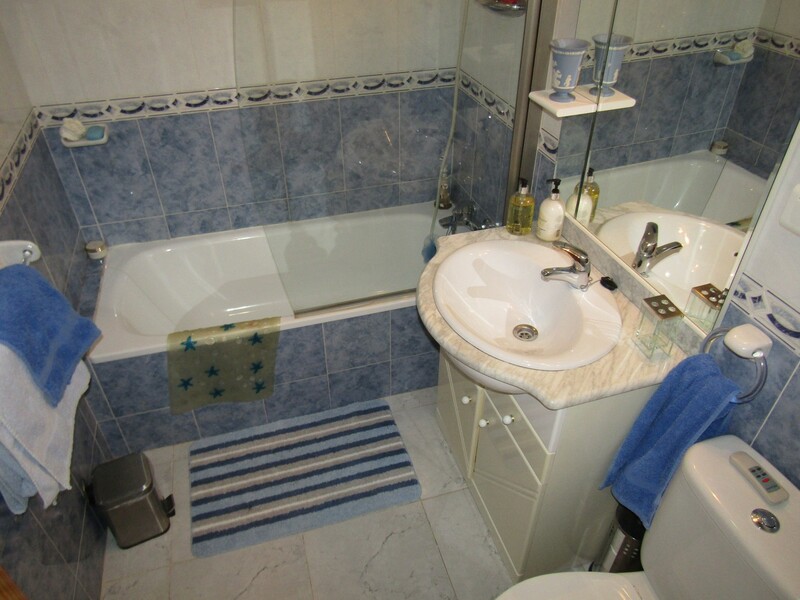 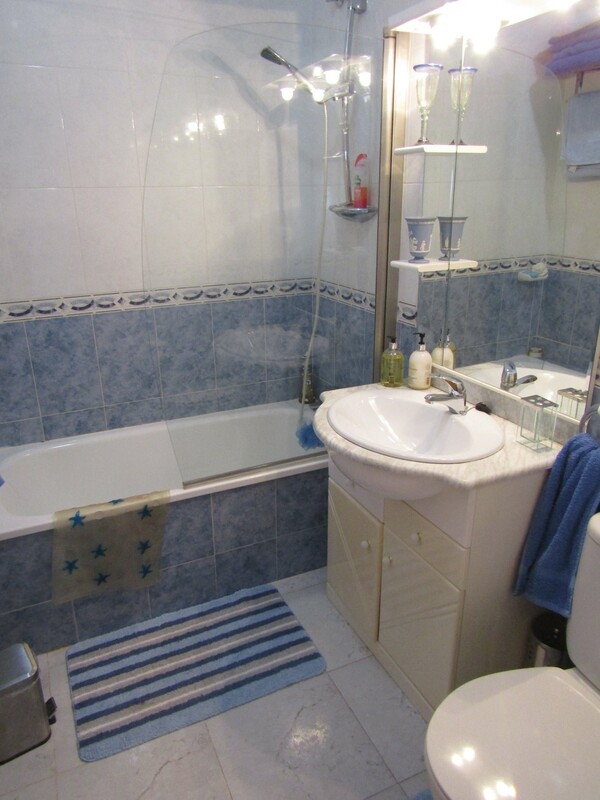 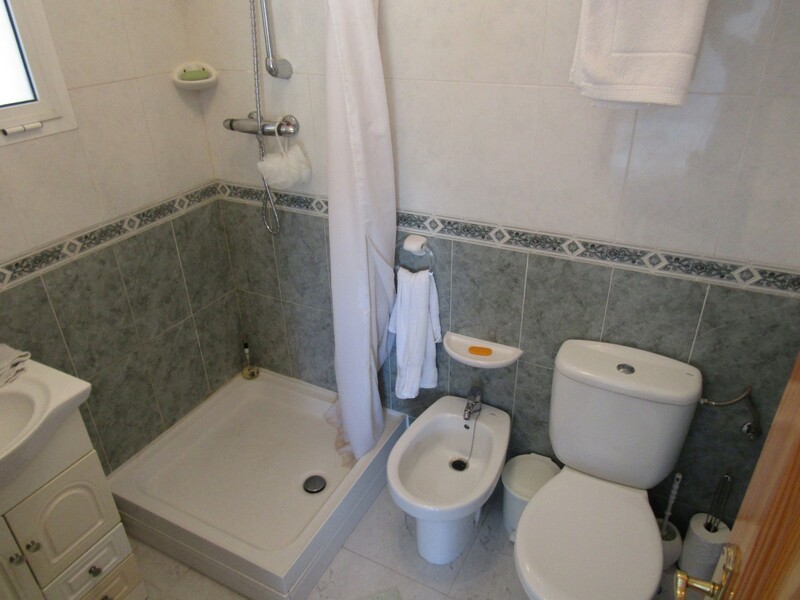 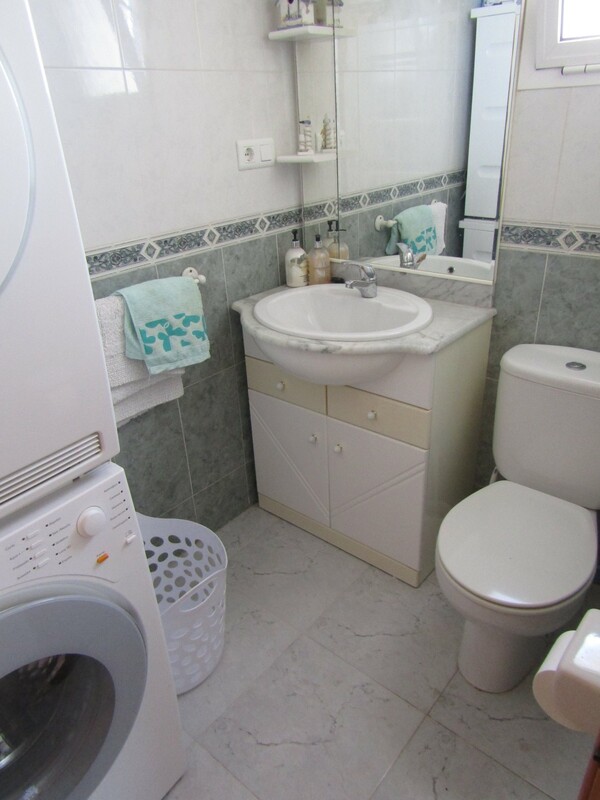 A landing area leads to the family bathroom to the right at the bottom of the stairs (2 x 1.5m) with bath and overhead shower, bedroom 1 to the left (3.5 x 2.5m including built-in wardrobe), bedroom 2 ahead (3.25 x 3m including wardrobe) and to the end right, bedroom 3, (4.75 x 3m) with built-in wardrobe, patio doors to steps that lead down to the pool terrace, and an en-suite shower room (2 x 1.5m). 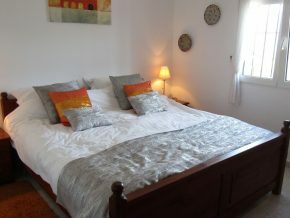 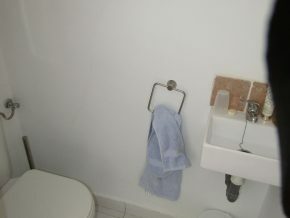 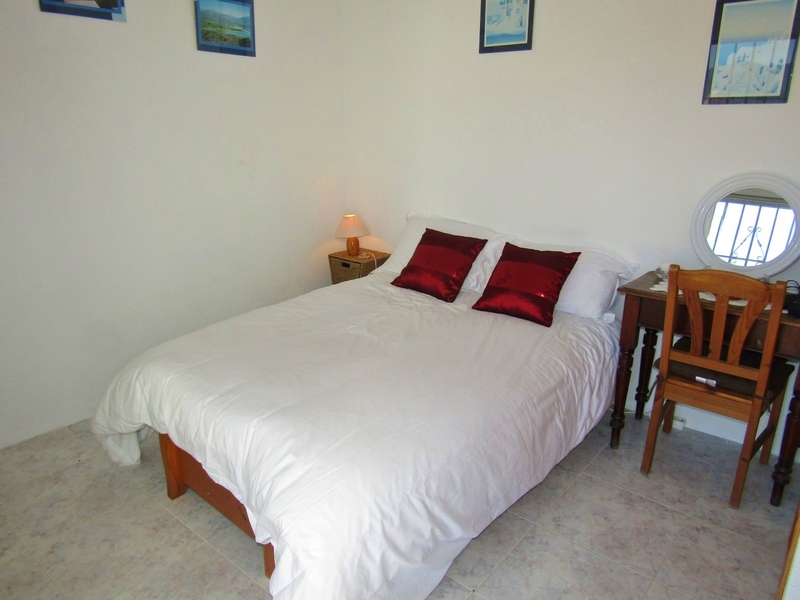 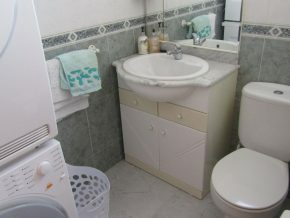 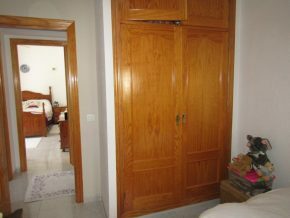 There are air conditioning hot/cold units and ceiling fans in all three bedrooms. 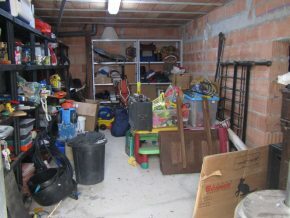 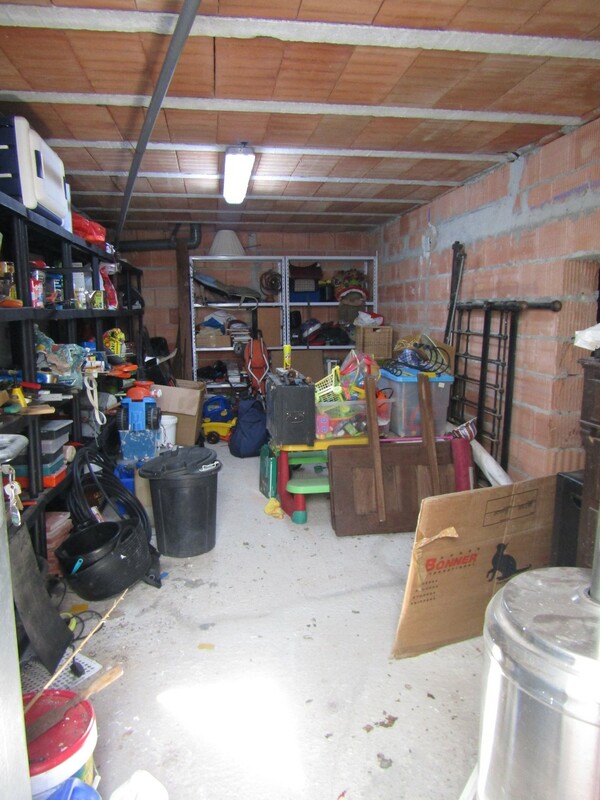 Outside, an upper patio leads around the far corner of the house to a very useful and very large store room, and extra under house space to one side. 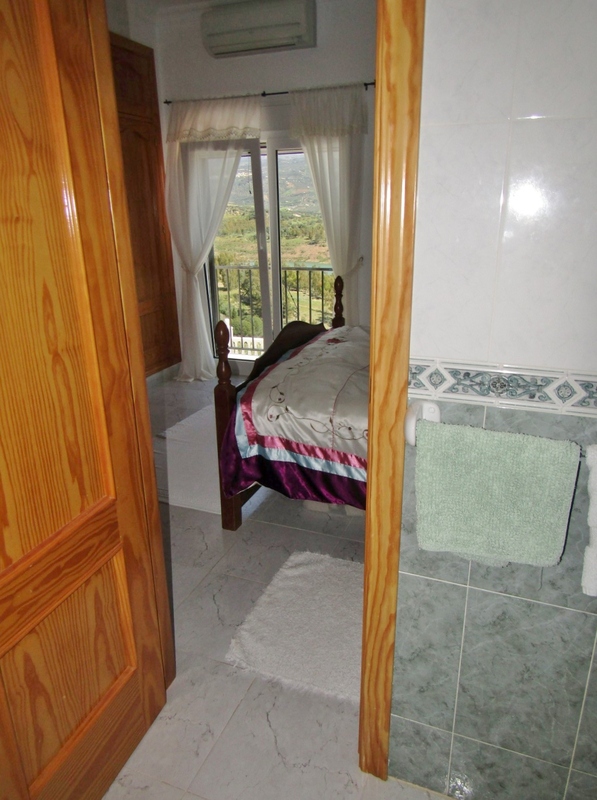 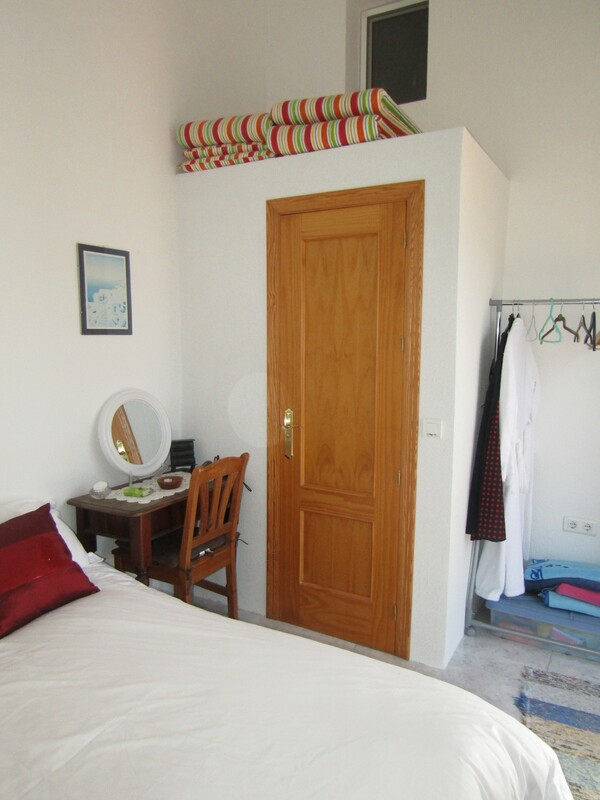 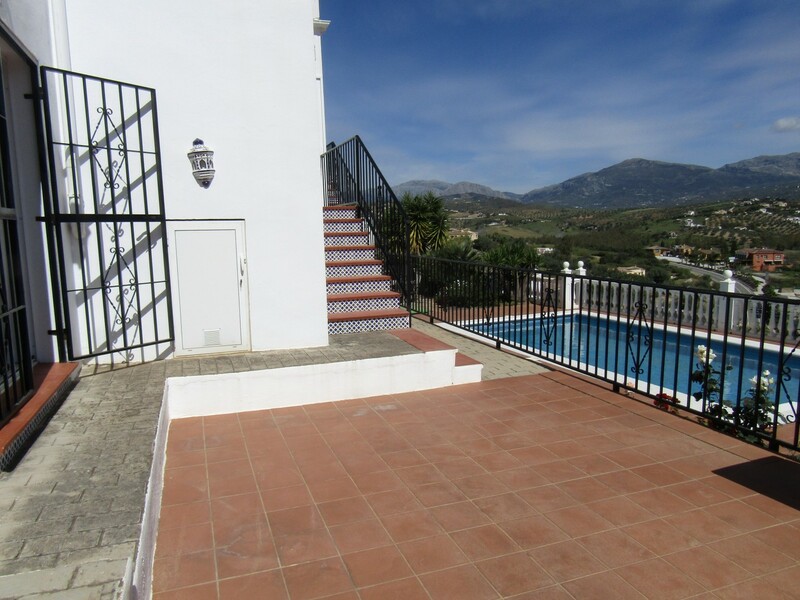 Also accessible from this terrace area, and facing the views and pool, is a door to the extra, or fourth guest bedroom (3.5 x 2.5m) including a separate WC and wash basin. 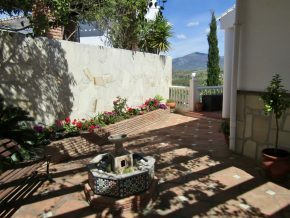 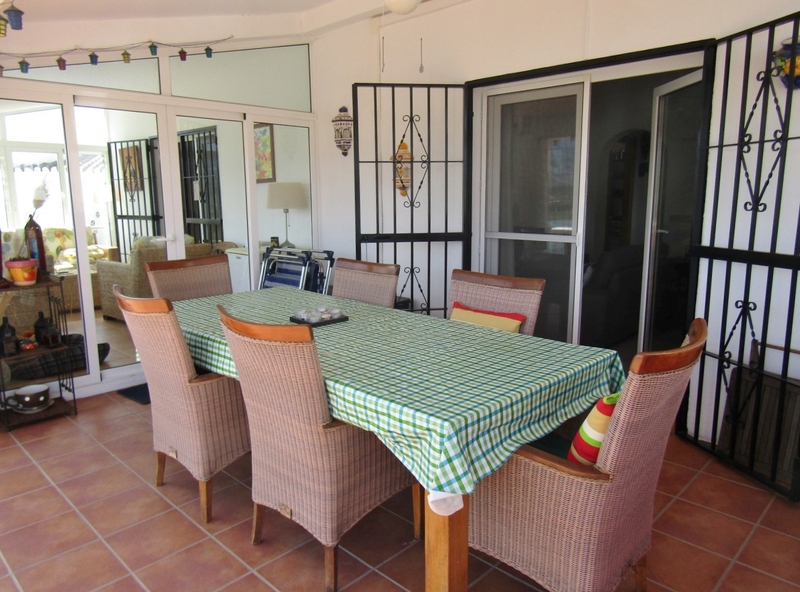 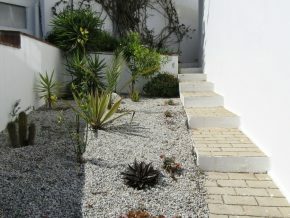 From this terrace, a few steps lead down to the pool terrace, with plenty of sunbathing areas. The pool is 8 x 4m plus semi-circular ‘Roman’ style steps leading into the water. 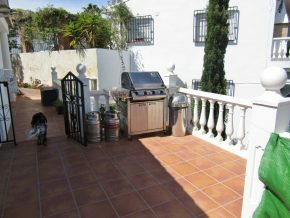 There is a further dining and barbecue area at pool level too. 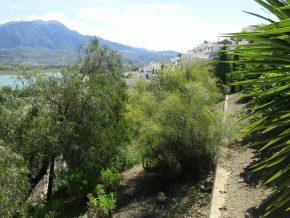 Beyond, through mature trees and shrubs, a little gate leads down a few more steps to a piece of land planted with fruit trees (orange, mandarin, lemon and fig trees) and it would be possible to make a small vegetable garden here. 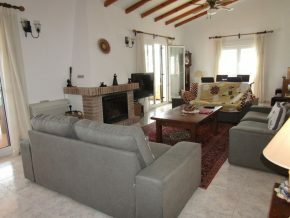 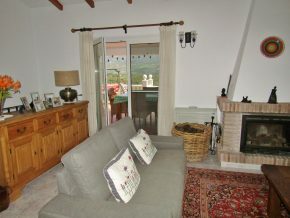 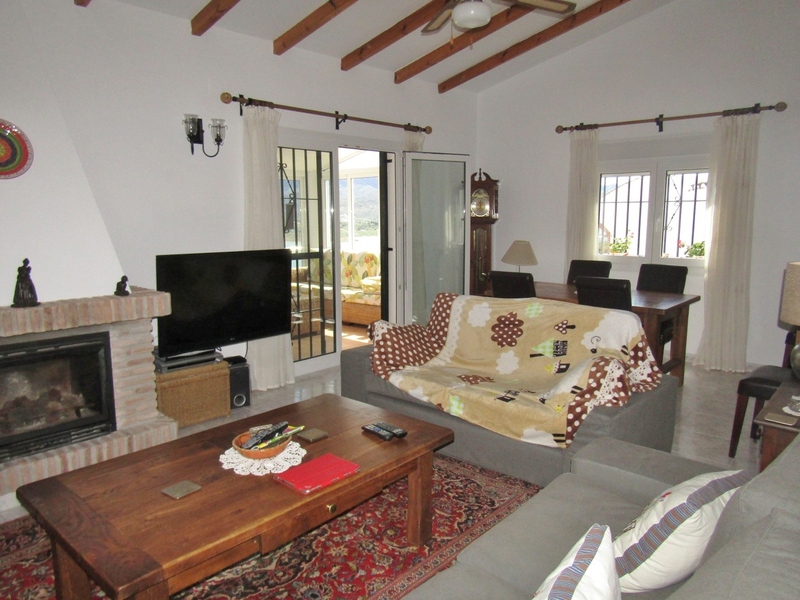 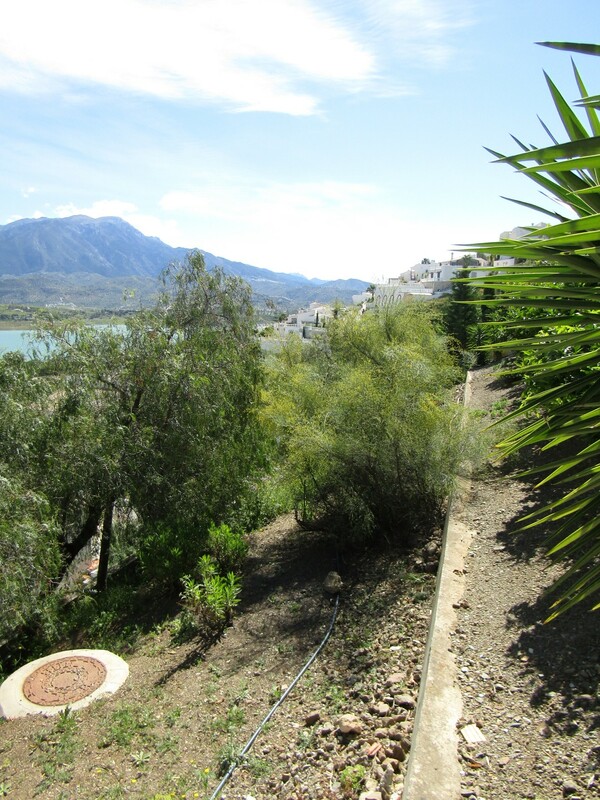 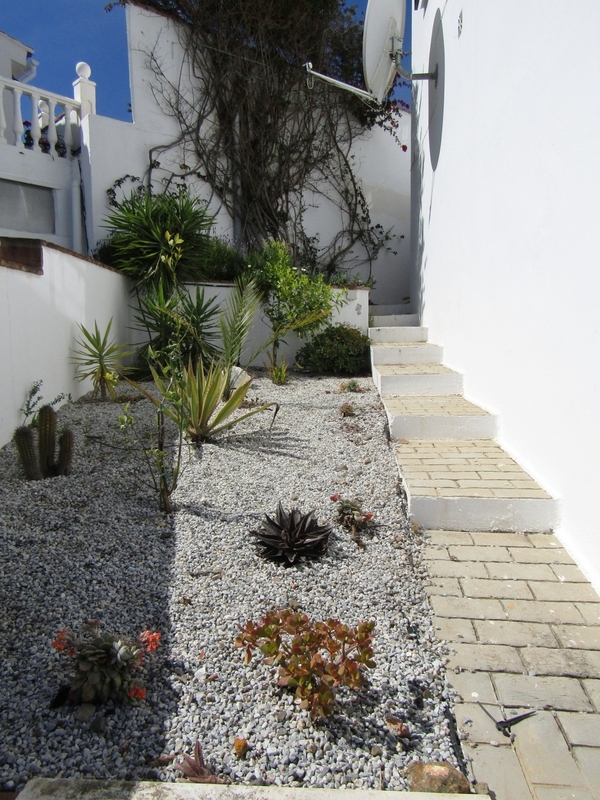 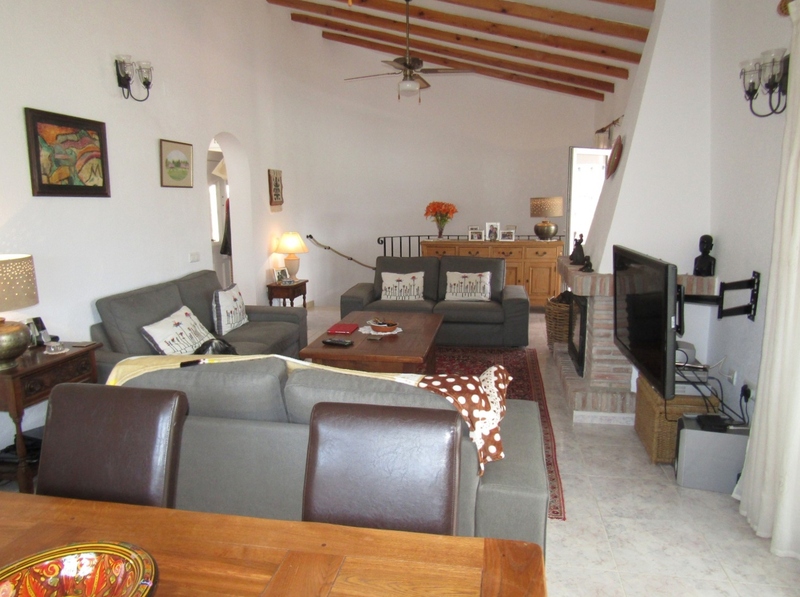 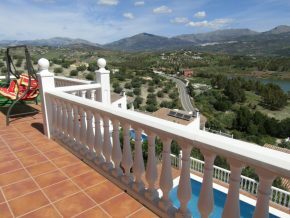 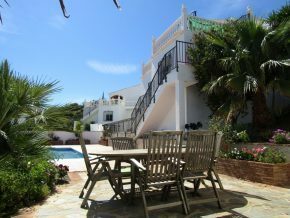 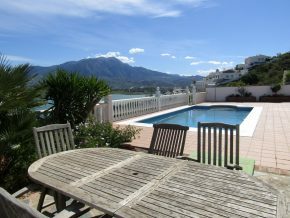 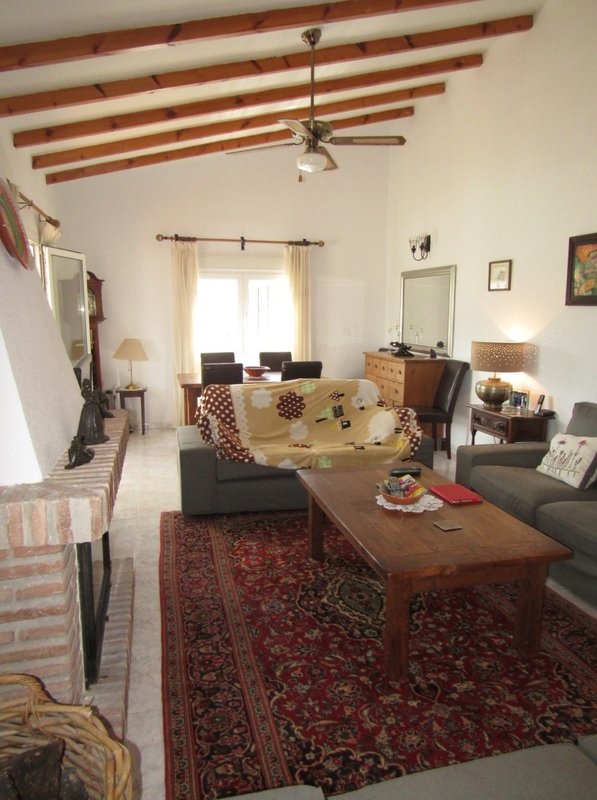 A very beautiful, well presented and quality built Spanish villa in an envious location!